Lawhill Bothy is a beautiful one bedroom cottage set in the courtyard of our house next door. The nine acre property is set amidst the Ochil hills with gated access to beautiful walks and historic landmarks. It is 13 miles east of the historic city of Stirling. As well as being close to Stirling, Dollar is within easy reach of Glasgow, Edinburgh and St Andrews to the east not forgetting Gleneagles is 14 miles drive through the beautiful Glendevon. 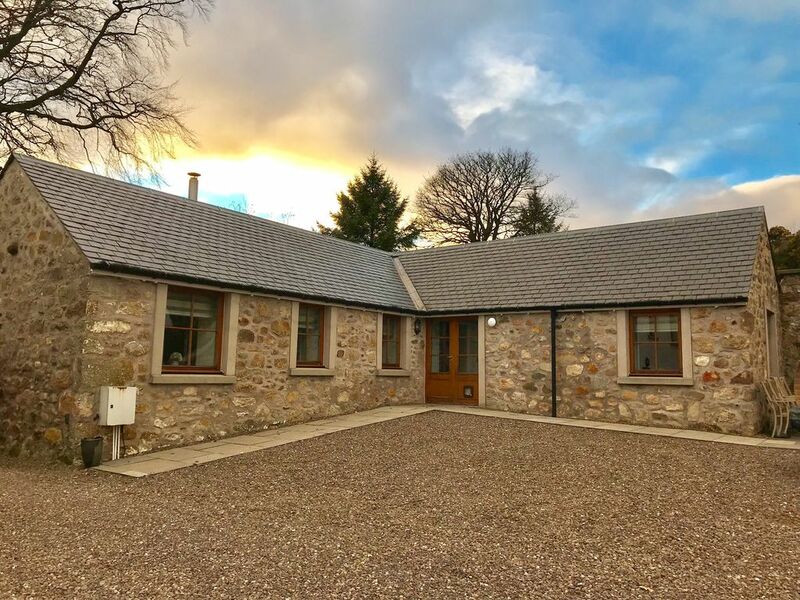 Within the Bothy there is one double bedroom, open plan kitchen diner/ sitting room with smart tv and log burning stove, and bathroom with double shower. The Kitchen is fully equipped with oven hob, dishwasher, fridge and microwave. The Bothy has all new furniture and fittings.